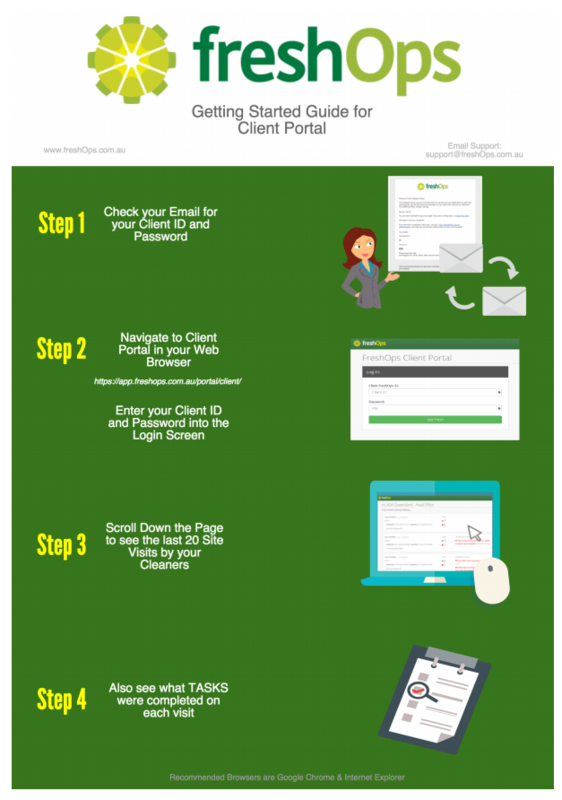 If you have had your cleaning company invite you to access the freshOps Client Portal this Infographic will help you get started. 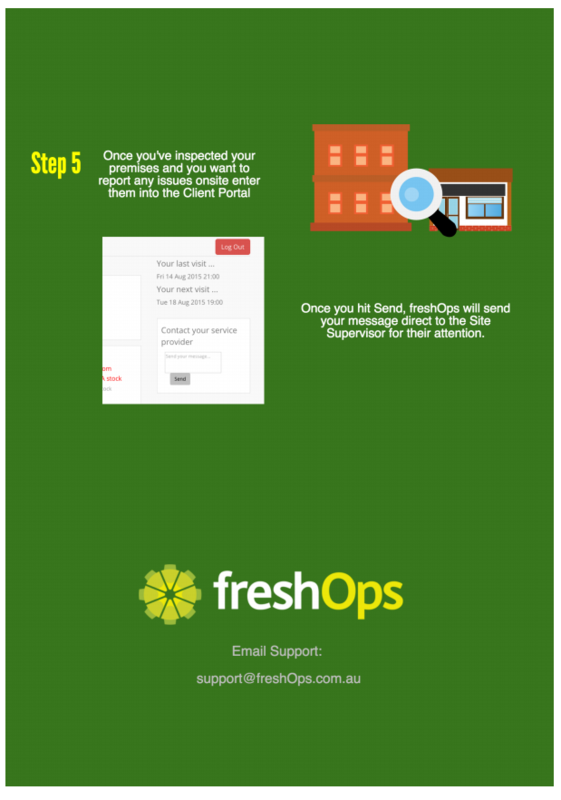 The freshOps Client Site Portal will surface the last 20 visits your cleaners have made to site. You'll be able to see when the site was serviced last, when the next service is due, when the cleaners arrive and left and what tasks they completed and which ones they did not. There is also a simple message service that you can leave feedback, requests and comments regarding the cleaners that will be delivered straight to your cleaning company.